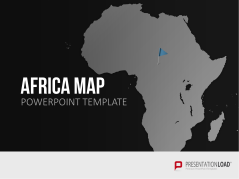 Distinguished by both its size and population, Africa is the second largest continent and home to some of the world's largest metropolitan areas including Lagos, Cairo, Kinshasa, and Johannesburg. 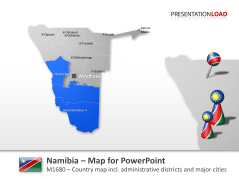 Africa’s unique biodiversity attracts tourists from all over the world, and its share of the global economy has grown steadily over the last decades. 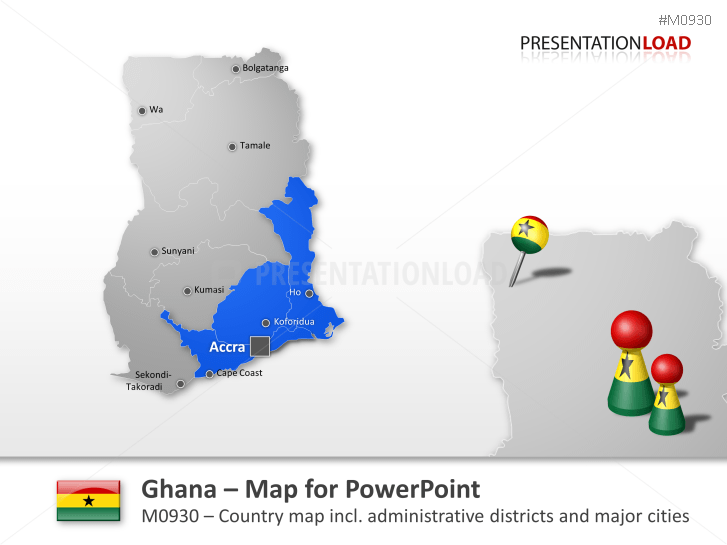 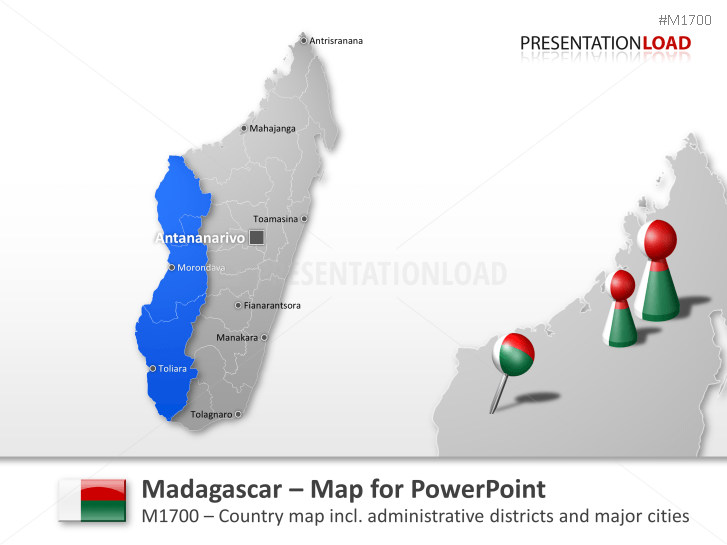 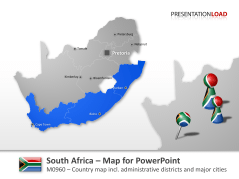 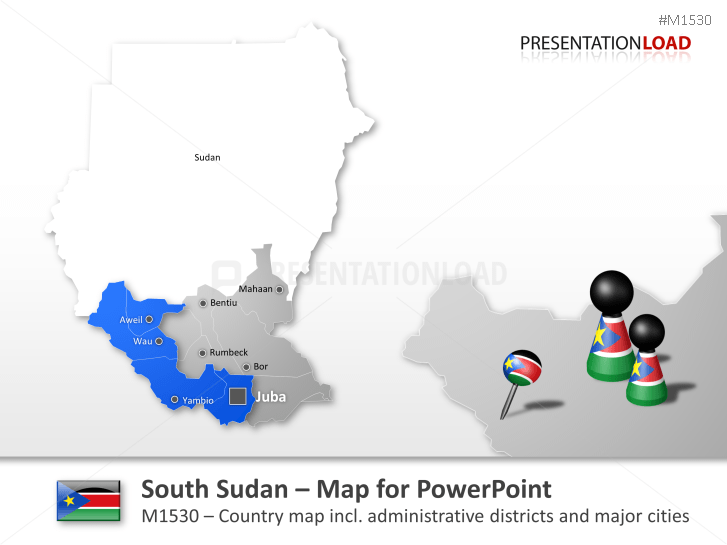 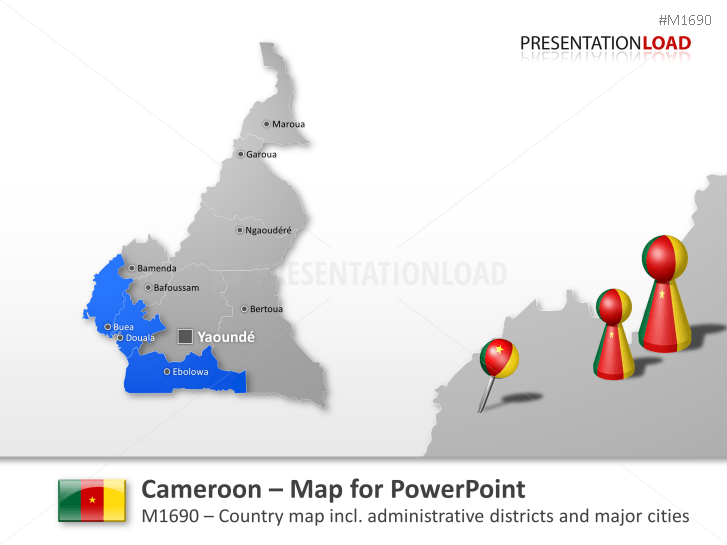 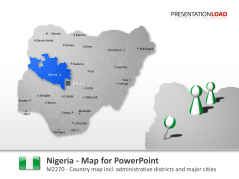 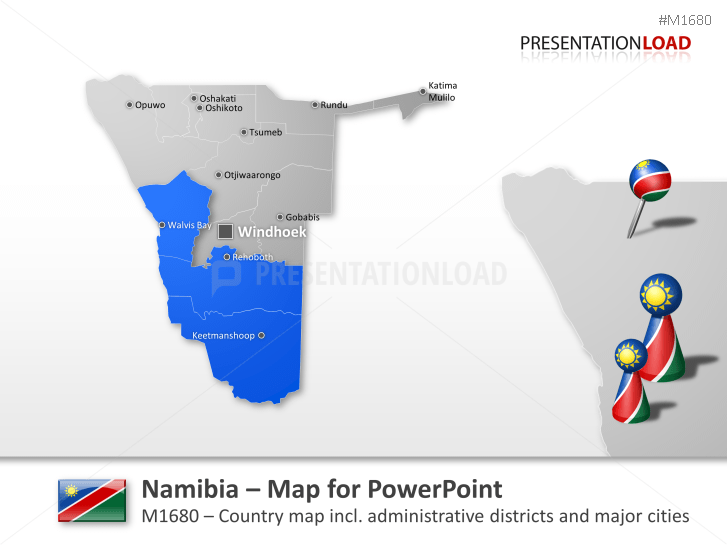 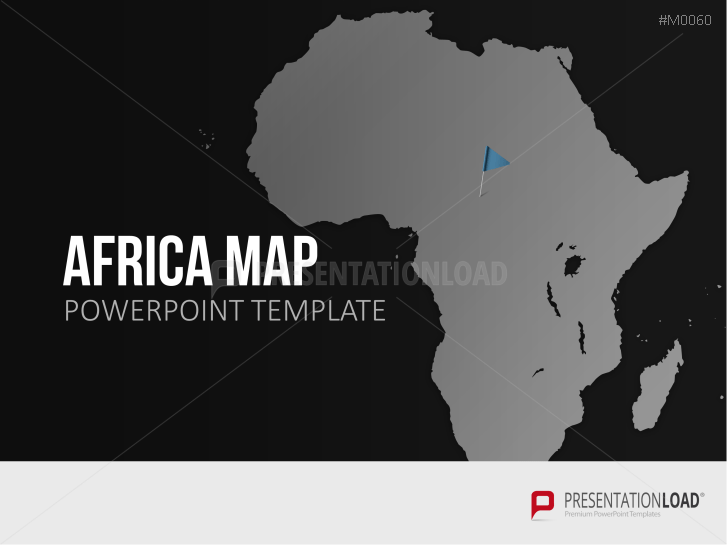 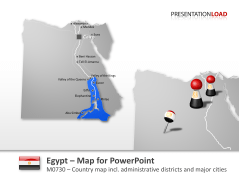 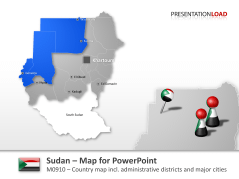 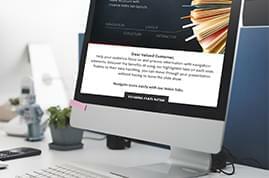 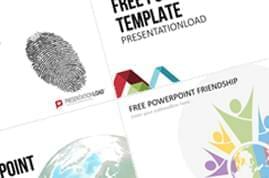 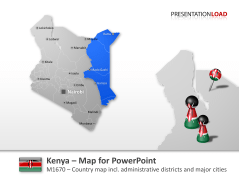 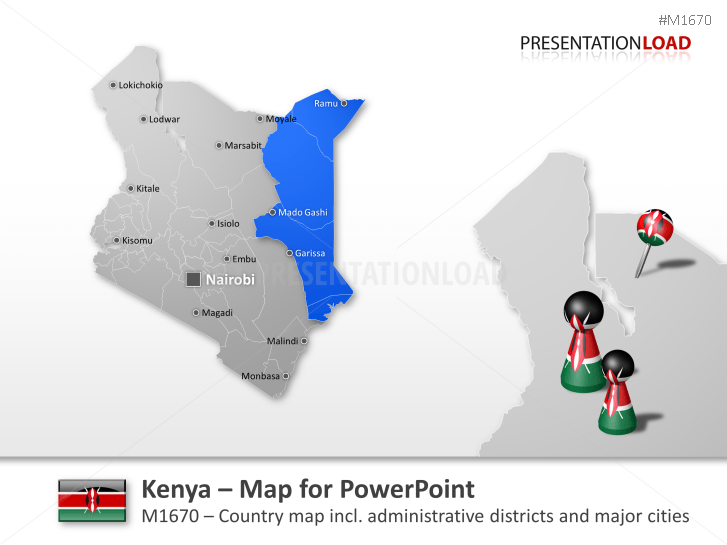 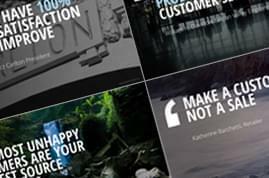 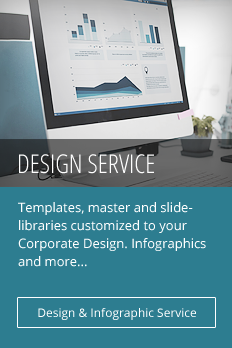 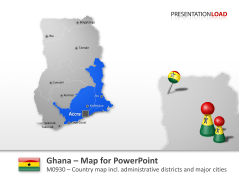 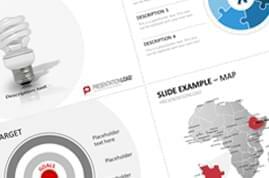 These PowerPoint templates allow you to integrate premium-quality maps of individual African countries, regions, and centers into your presentations. 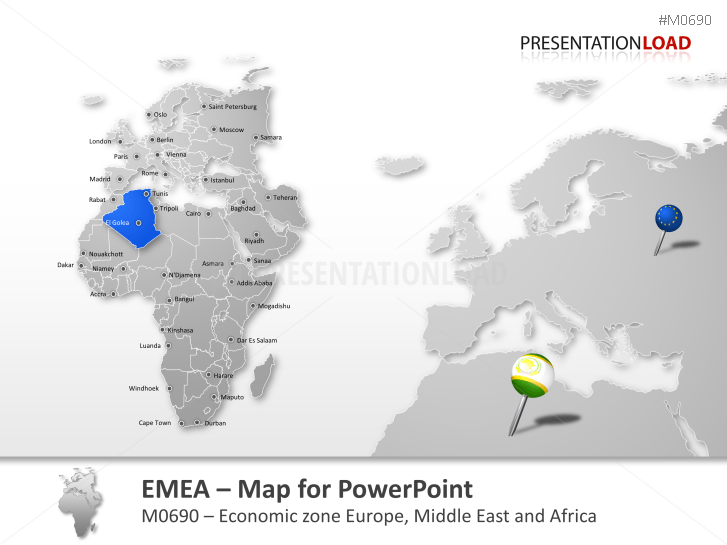 Set contains flag icons and maps incl. capital cities - Cairo, Rabat, Windhoek, Dakar, Addis Abeba and others. 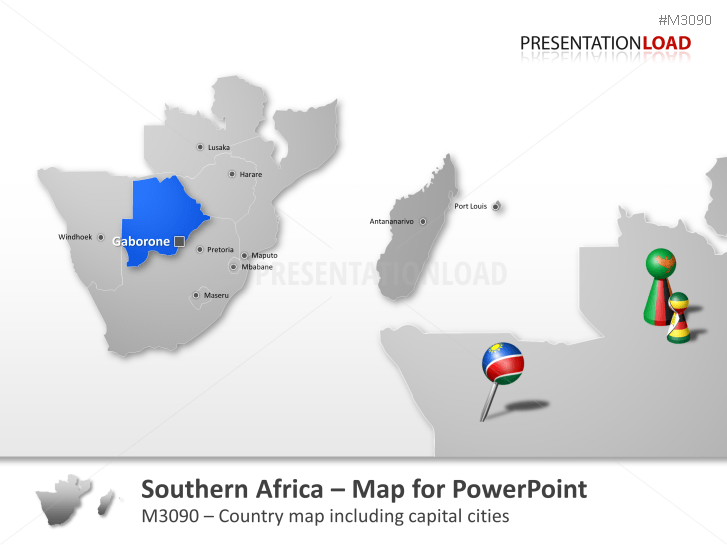 Editable map of Southern Africa includes countries such as Namibia, Zambia, Zimbabwe, Mauritius and others. 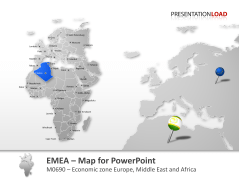 Set comprises every country and larger cities of Europe, Middle East and Africa. 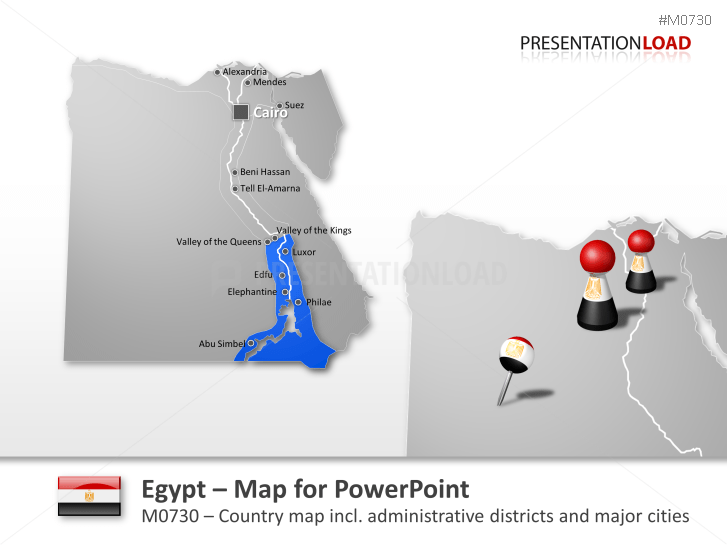 Map set includes Cairo, Giza, Al Sharqia, Dakahlia, Beheira, Minya and more. 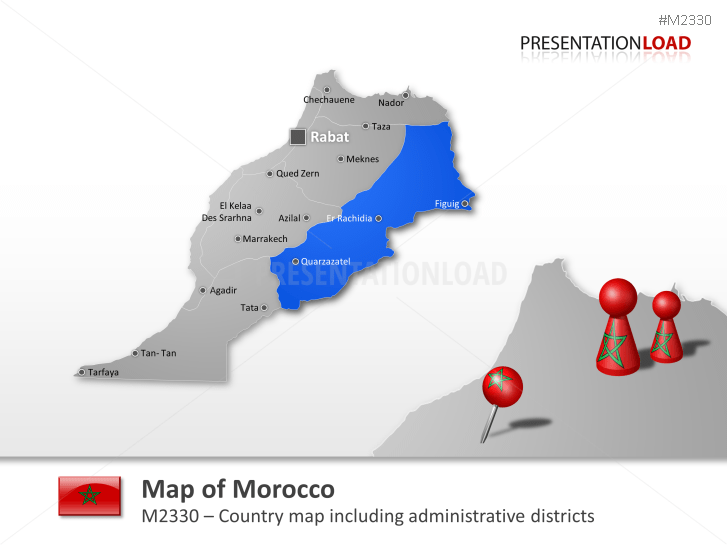 Contains the regions of Marrakesh-Tensift-El Haouz, Tangier-Tétouan, Taza-Al Hoceimaetc. Map comprises the states of Anambra, Enugu, Akwa Ibom, Adamawa, Abia, Bauchi and more. 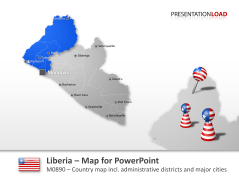 Map comprises Bomi, Bong, Margibi, Grand Bassa, Montserrado and others. 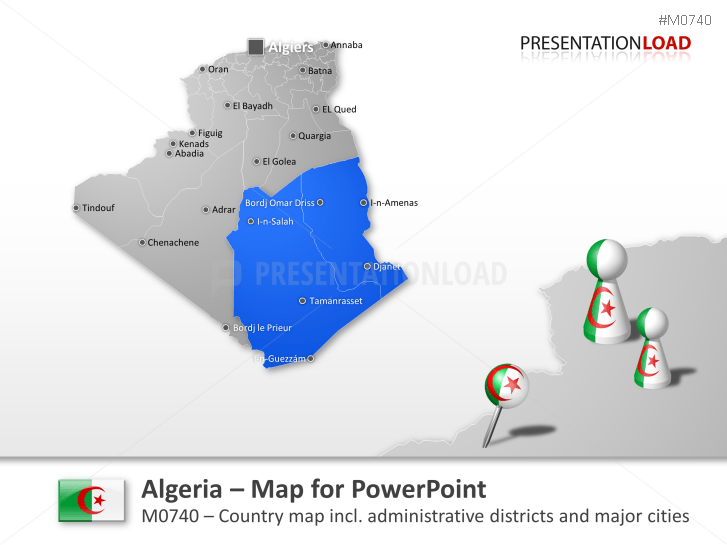 Set includes Adrar, Chlef, Langhouat, Oum el-Bouaghi, Batna, Biskra and more. 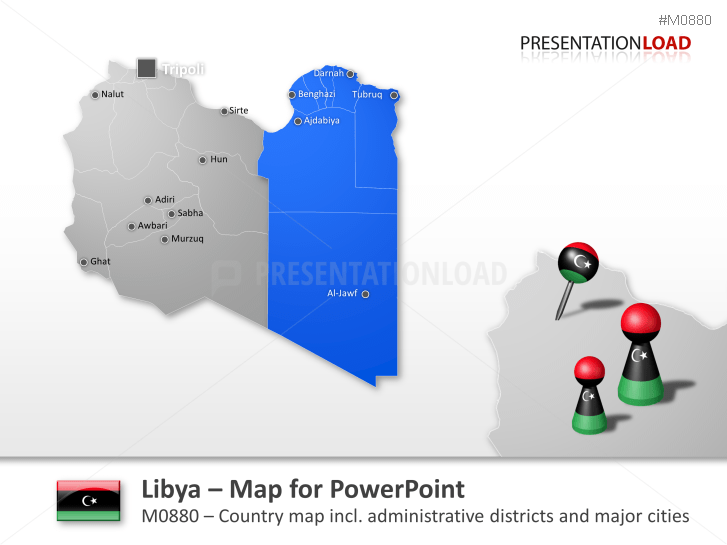 Consists out of Tripoli, Benghazi, Az Zawiyah, An Nuqat al Khams and others.